1. Hire a Haggler – Companies such as BillFixers and Shrinkabill will haggle with your cable TV company or other service providers for one-third to half of your first year savings. BillFixers claims it saves clients an average of $300 per year. 2. Become a YouTube handy man – I have friends that use this all the time. The video’s show you how to fix the latch spring on your microwave door and that cold save you $150. It can be used for many household repairs. How and when to plant trees and that could save you killing your very expensive tree. (I have been known to do this). 3. According to the National Geographic, “Bottled water is a drain on the environment: The U.S. public goes through about 50 billion water bottles a year, and most of those plastic containers are not recycled. Transporting the bottles and keeping them cold also burns fossil fuels, which give off greenhouse gases.” 1500 plastic bottles are consumed every second. Enough plastic is thrown away each year to circle the earth four times. And, it will take 1000 years for the plastic to degrade. Here is a way to save money and help with the excess use of water bottles. 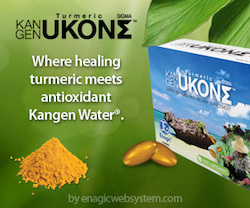 If you buy this Hydrogen rich water machine which will give you unadulterated water with great alkaline benefits for your health and you won’t be drinking the acidic , toxic water from plastic bottles. 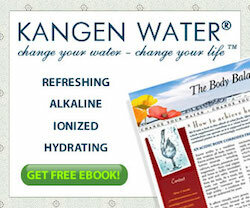 Kangen hydrogen-rich water ‘V’ Bottled water – Savings would be $1378.24 plus better health for you and the environment. 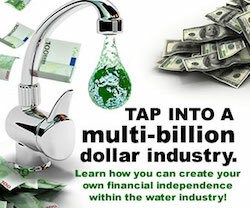 This machine also comes with an amazing compensation plan if you go to http://www.lifechanging-water.com you can read all about it and if you have any questions, as I am sure you will, ring David at 2812396410, it is a business opportunity not to be missed. Attend Spring Training – See how your favorite baseball players work with their coaches – for free! Check out springtrainingconnection.com for locations and schedules. Savings $30 the average price of a major league game. Buy discounted gift cards – You can buy these cards at sites such as Giftcardgranny.com and TheGiftCardShop.com and Save as much as $15 or more. Use baby oil to remove eye makeup. Approx 25 cents per oz. Works extremely well and many name brand eye makeup removers can cost $4.50 per oz. Savings at least $4.25. Baby oil Gel – This also makes for a great body oil. Soaks into the skin easily. Savings $4.00 or more. 3. Routinely call or write – To your cable company, internet provider or tv services to see what they will do to keep you loyal. Netflix for example offered a free month of service. Savings $8. This is a list of budget cuts I received by email. I personally thought it made very interesting reading. For some. It was headed as Paul Ryan’s proposed budget cuts and savings in the next ten years. This is inaccurate. I checked Snopes to find this is article is only partially true. The Spending Reduction Act of 2011 was sponsored by Rep. Jim Jordan of Ohio, not Paul Ryan. Now that I have got that out of the way, the thing that caught my eye was the list that was proposed for cutting the budget. Number 12 on the list was one. I mean they keeping shoving climate change down our throats and they are able to cut congressional printing and binding by 47 million. Hell that’s a lot of trees. Whats the matter with using technology to send information and save all that paper. Can they not read from an iPad? Just look at this list and see what some of your hard-earned Tax money is going towards. It’s a laugh (sarcastic of course). No it’s not funny and we should keeping an eye on who ever proposes these ridiculous and stupid costs to the Tax Payer (you). The List that is accurate. * Save America’s Treasures Program — $25 million annual savings. * Eliminate duplicative education programs — H.R. 2274 (in last Congress), authored by Rep. McKeon, eliminates 68 at a savings of $1.3 billion annually. * Manufacturing Extension Partnership (MEP) Program — $125 million annual savings. * Freedom CAR and Fuel Partnership — $200 million annual savings. * Require collection of unpaid taxes by federal employees — $1 billion total savings. * Prohibit taxpayer-funded union activities by federal employees — $1.2 billion savings over ten years. * Eliminate death gratuity for Members of Congress. Untold savings could result from this. * Subsidy to Organization for Economic Co-operation and Development (OECD) — $93 millionannual savings. * Ready to Learn TV Program — $27 million savings.